Donald Trump, Michael Moore, and me. A demonstration against racism and conservative presidential candidate Donald Trump’s recent remarks concerning Muslims on Dec. 10, 2015, in New York City. This is a bit of an unpopular opinion, but thank Allah for Donald Trump. As a Muslim American, I’ve found it very easy to feel like a foreigner in the country I was born in. Constantly being told that Muslim values don’t equal American values, or that I must be a “moderate” because I haven’t committed a murder, or, more recently, that a strategy for combating terrorism is barring Muslims from entering our country, you begin to wonder yourself if it’s possible to simultaneously be both Muslim and American. But in Islam, if you ask for strength, God will deliver you obstacles to overcome and grow stronger. Muslims have been praying for our plight to be heard, and God gave us Donald Trump. On Thursday, Michael Moore shared a photo of himself defiantly holding a #WeAreAllMuslim poster in front of Trump Tower in New York City. At first I was disgusted by what feels like (and probably is) a publicity stunt and also white person hijacking of a very serious issue. As if something we have been voicing for years is now suddenly legitimate, and shareable on Facebook, because a non-Muslim co-signed. 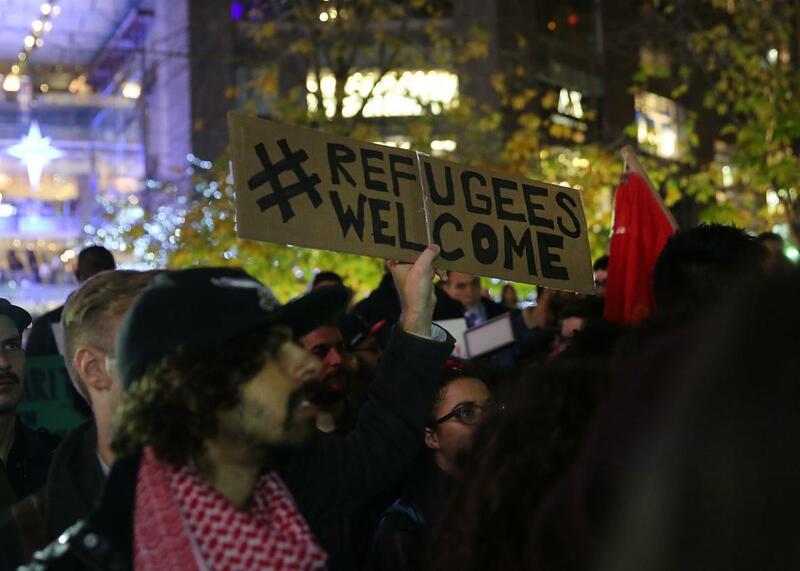 Holding a sign can’t possibly mean you understand the Muslim American experience. But it hasn’t just been Michael Moore who is showing his solidarity with Muslims lately. Talk show hosts, celebrity journalists, democrats, even Republicans have been coming together to defend their Muslim neighbors. None of this would be possible without Donald Trump. He showed the world a way of thinking that Muslims have seen their entire lives—“We have a problem, it’s called Muslims”—and the outrage in response has been beautiful. It turns out, America needed a Donald Trump. Without him, Islam would continue to only be discussed in the context of violence and terrorism. Instead, Trump brought Islamophobia onto every prime-time news network and social media feed, and for the first time in my life I feel overwhelmingly American.